Hello ladies and happy Cinco de Mayo!!! I hope you all plan to enjoy lots yummy margaritas tonight! As I'm sure most of you probably know, I do most of my shopping online, but when I am downtown I always try to stop in at one of my favorites, Simply J Boutique. Their store is packed full of affordable brands, cute gift ideas, and some of the best jewelry around. 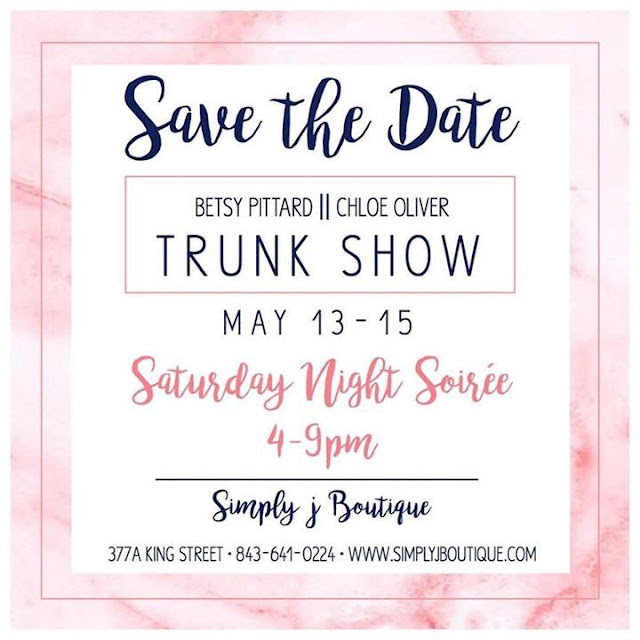 And next Saturday night, Simply J Boutique is hosting a little Soiree with the two amazing brands, Chloe Oliver and Betsy Pittard. It's sure to be a fun night with a special signature mojito, light nibbles, and lots of shopping!! Here are two looks I put together to give you guys a little peek at both brands. Flirty fun - perfect for a night out on the town, but can easily be worn during the day with flats as well. 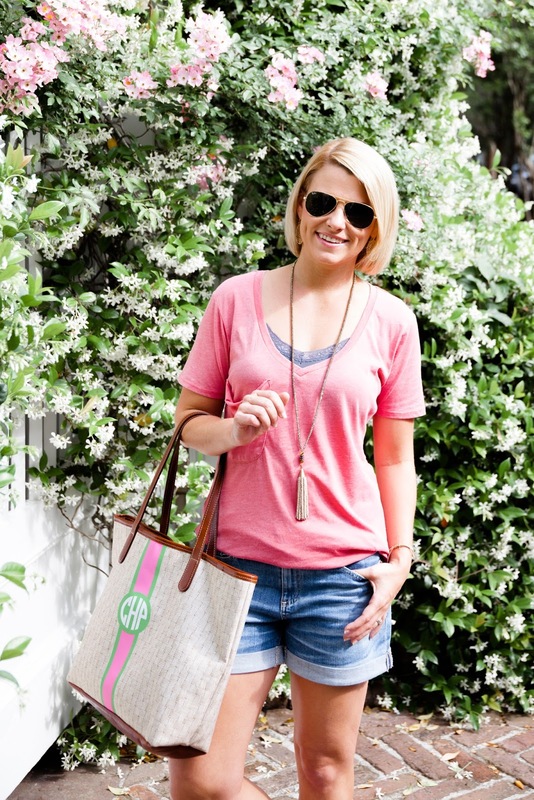 Laid back casual - Perfect for a day of running errands and chasing the kiddos around! Just another reason why I wish I lived in Charleston! Sounds like so much fun and I am so in love with that first dress!